SKA Sangria was founded by Manolo Lopez. Lopez worked on the sangria for three years determined to find the perfect blend & fusion of Spanish-Australian culture. 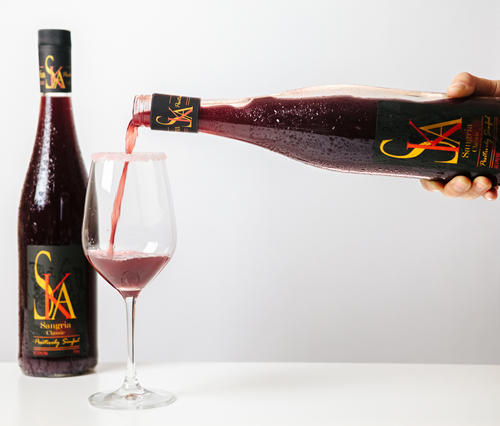 “We weren’t happy with the Sangria on the market when we owned a Spanish tapas restaurant, so we wanted to create our own and we’ve worked hard to create a premier blend using a secret recipe that’s been passed down in my family from generation to generation,” said Mr Lopez. Lopez, who hails from Northern Spain, comes from a long line of wine-makers. The passion and expertise was evident after one sip of SKA Sangria. Sangria is a traditional Spanish drink. Lopez has managed to uphold that authentic Spanish taste using 90% Australian wines, juices, and essences!!! The sweet, and incredibly refreshing drink compliments spicy & salty foods very well. We paired it with bacon wrapped dates, and spicy chicken wings. Heaven! The new SKA Sangria is absolutely beautiful. Bring on the cocktail party! 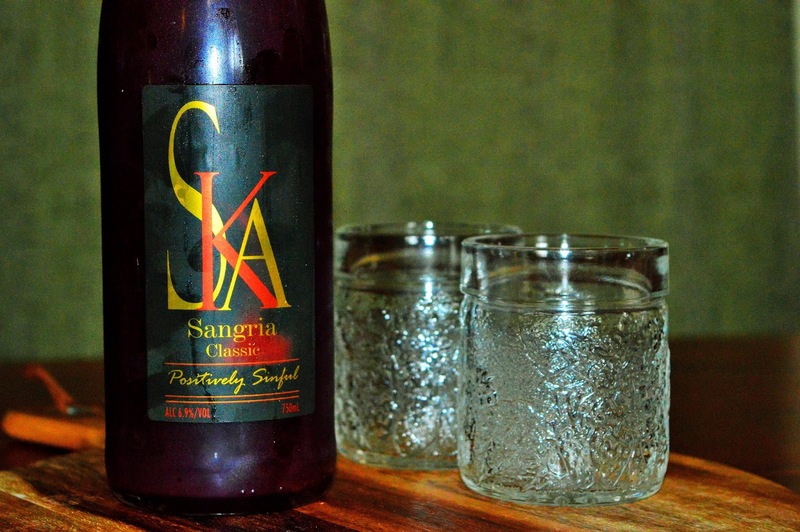 SKA Sangria comes in both 750ml and 375ml bottles and contains 6.9% alcohol. For more info on SKA Sangria and for locations on where you can find it click HERE. *AmeriAus received a complimentary bottle of SKA Sangria for reviewing. All opinions expressed are our own.